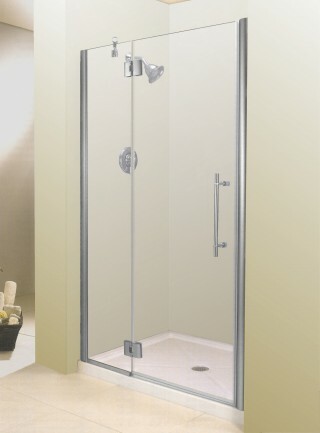 6mm or 10mm frameless 2-panel tub and shower sliders. 5mm frameless 2-panel neo-round shower slider. support bar in place of header. Tempered safety glass with polished edges throughout.